Sometimes you just want a “no recipe” recipe. This is more of a throw it together when you don’t know what to cook kind of thing. I was in Whole Foods and was looking for inspiration saw some Rosemary in the Herbs section and headed over to the butcher. I asked the butcher ( and this is important here) to remove back bone and cut whole chicken in 1/2. You can butterfly but I find that chickens cut in half are easier to manage. All you need is olive oil, kosher (coarse salt) and freshly ground black pepper and there you have it. I grilled mine outdoors but you could even do it in the oven if you had to. It cooks in about 20 – 25 minutes and it is delicious. I marinate it for about an hour before I cook it. 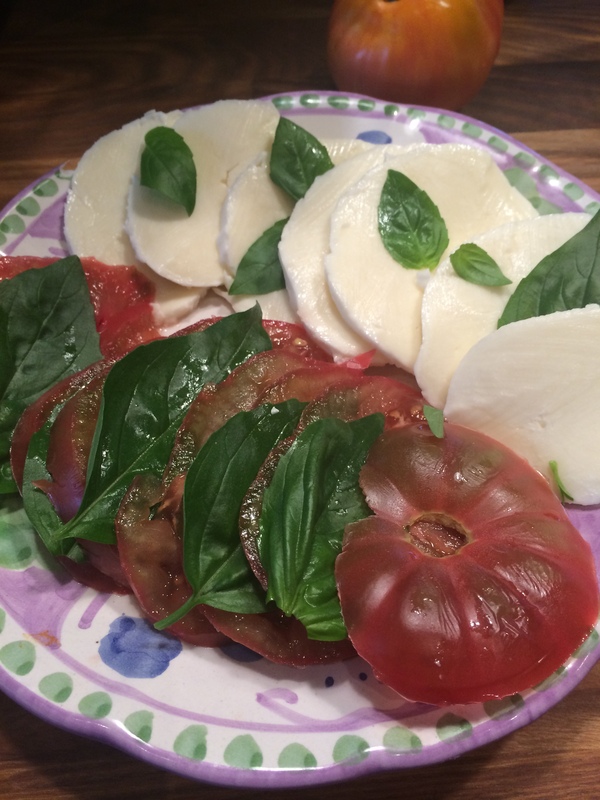 I served it with fresh heirloom tomatoes and fresh mozzarella, just a perfect summer meal. About an hour before I am going to cook it, I take chicken out of fridge. I pat it dry with some paper towels. 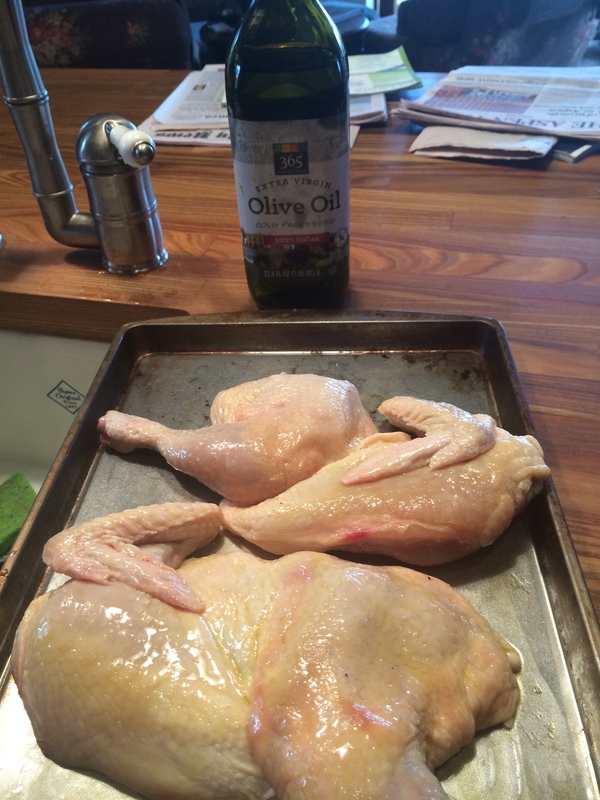 Then I take a little olive oil at a time and brush all over the outside of each 1/2 of chicken. 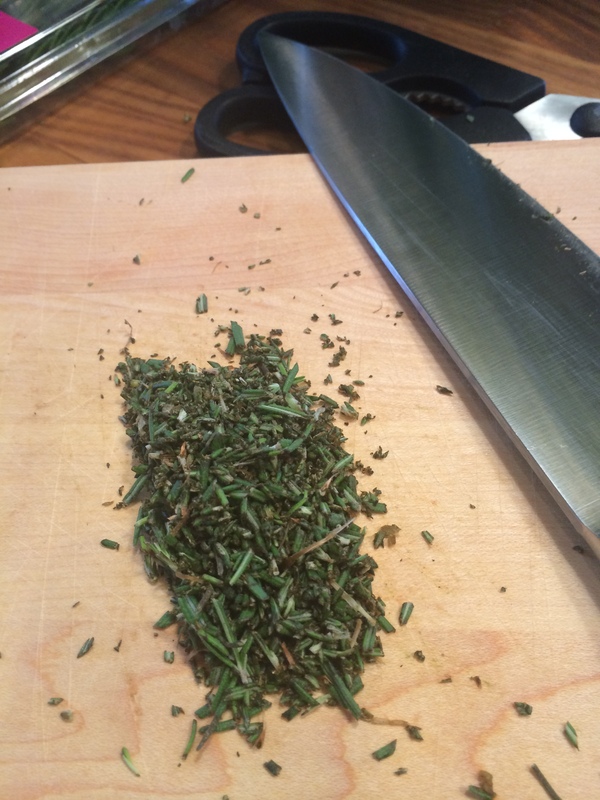 I generously sprinkle kosher salt, pepper and chopped rosemary. Using my clean hands I rub the chicken all over. 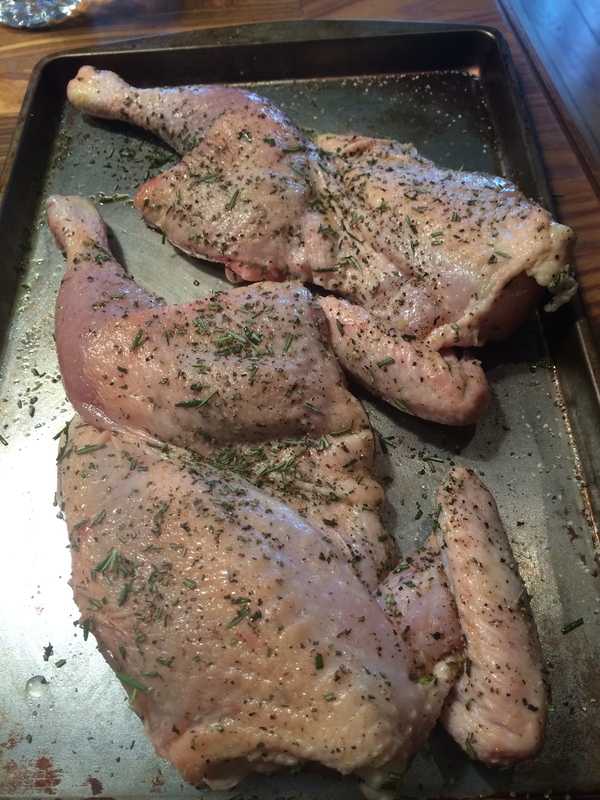 Let it sit for about an hour at room temperature before cooking. I heat up grill on high. 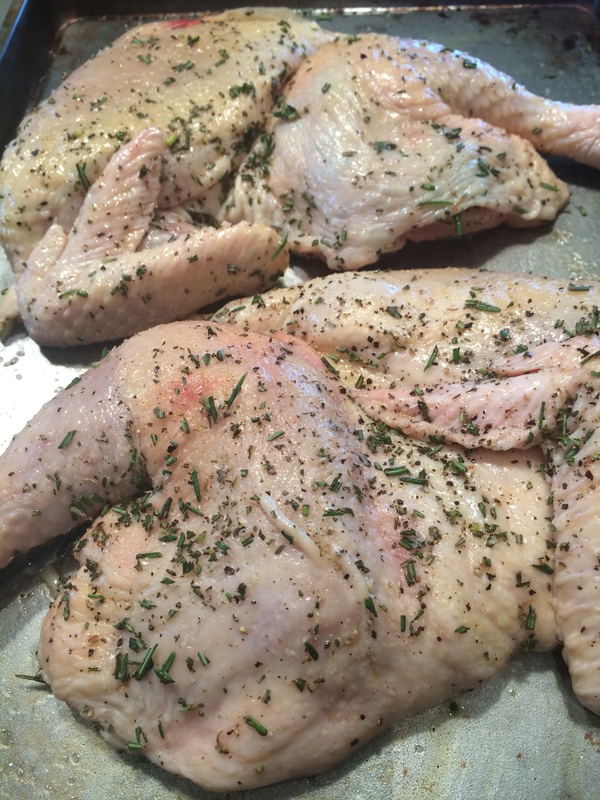 Place chicken on grill skin side down and lower grill temperature a little bit. I set the timer for five minutes and then flip them over. Cook on the other side for about 10 minutes and then cook for about 5 minutes on the skin side, 20 minutes is usually good , cut into thigh for clear juice to run. If you need a bit more time put back on but watch it. Dry over done chicken is not OK. Perfect Dinner served with grilled local corn, mozzarella and tomatoes and some roasted sweet potatoes. 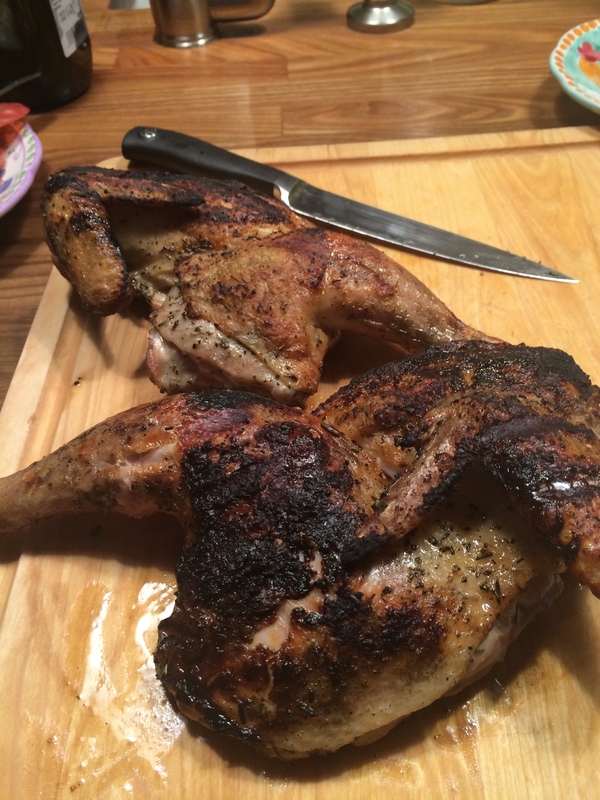 This entry was posted in chicken and tagged Chicken, chicken on the grill, rosemary grilled chicken, simply grilled chicken. Bookmark the permalink.